The new Kia Optima is a firm favorite of Los Angeles drivers, and it’s easy to see why. It offers dependable performance and impeccable comforts at a price that completely undercuts the competition. But maybe the best part of the Kia Optima is its range of standard and available technology, which runs the gamut from safety features to the latest in entertainment. Here’s just a sample of what’s on offer. This 10-speaker, 630-watt surround sound system uses Clari-Fi® technology to play your music with incredible clarity. This standard tech keeps on eye on your blind spot and alerts you if there’s a vehicle there, so you know when it’s safe to change lanes. These features connect to your smartphone so you can use all of your favorite apps directly through the UVO 7-inch touchscreen. This available tech gives you a full bird’s-eye view of your vehicle, so you can stay abreast of what’s happening on all sides of you. Check Out the Kia Optima Today! 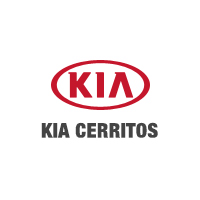 Schedule a test drive of a new or used Kia Optima at Kia of Cerritos, just a short trip from Los Angeles. While you’re here, check out our comparison between the Kia Optima and the Ford Fusion, as well as our Chevrolet Malibu comparison.